If you had to spend eternity inside the pages of a book, which book would you choose and why? 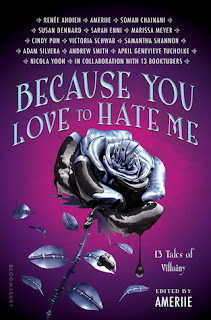 I'm betting that Harry Potter will be listed a bunch of times and I don't disagree with that choice, but for the sake of originality, I'll say Incarnate by Jodi Meadows. It's my favorite book (so far) that's being published in 2012 and most of the characters (except the MC) live for eternity already. I wouldn't be alone and I could pursue whatever craft I wanted. Of course I'd have to watch out for the dragons and sylphs and creepy temple, but it seems worth it :P.
Hopping through. 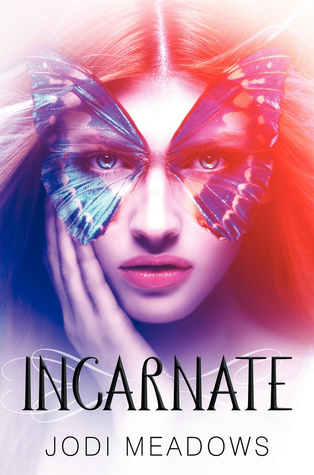 I have Incarnate on my netgalley list but haven't gotten to it yet. I really need to. Oh dear, I haven't read Incarnate and I am really dying too! Harry Potter is a very great pick! Incarnate sounds great, so I can't wait to read that. :) Happy holidays! I've read Incarnate so I can totally see why you would pick that. Great choice! I can't wait until Incarnate comes out! At least it's almost time for it to come out. I can't wait to read this! Sounds awesome! Great original answer! And I got a little preview of more about the book! Your blog is beautiful! I have this book, but have yet to read it. The cover is awesome. Love your blog! New follower so come follow me at bookreaper.blogspot.com. Happy Holidays! I haven't read this one, but I heard a lot of gret things about it. Hi, there! I'm a new follower! First off, I'd like to compliment you on your blog header -- it's truly unique! Although I haven't read "Incarnate" yet, I do have it in my TBR pile, and I'm planning to get to it in 2012. The plot sounds absolutely AMAZING, and I can see why you would enjoy living in that world. Great choice!! Nice choice! Although, I'm a bit afraid of sylph. :) Anyway, I'm your 350th follower. Happy Holidays!